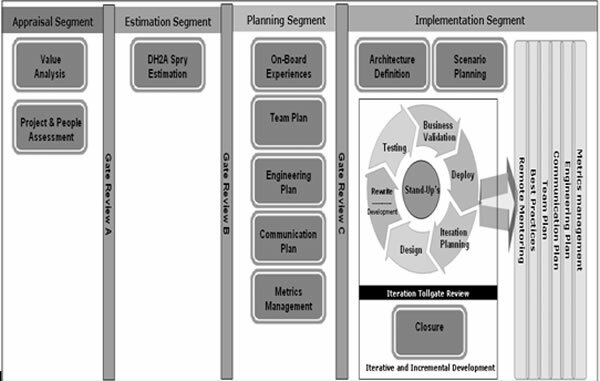 Traditional software lifecycle models, such as waterfall, have declined in popularity in recent years due to the increasing demands on projects to accommodate changing business requirements, to control ever-larger and more complex requirements, and to reliably deliver the expected business results. The rapidly changing business climate is placing new and even more stringent constraints on projects with respect to time, cost and quality. In order to deal with these recent changes new software lifecycle models have emerged that promise to keep pace with the industry. Agile is one such emerging methodology that is providing: better project transparency, better requirement trade-offs, faster time to market, and improved quality and reduced defects. While Agile approaches have clearly seen judicious success in recent years, these have primarily been associated with collocated teams. Unfortunately, collocation is not an option for all Agile teams. In fact, collocation is an approach which, in some cases, has moved the industry paradigm decades back defeating the overall advantages and cost controls of off-shoring and out-sourcing. Overcoming these challenges, "Design for Hybrid Agile Adoption (DH2A)", is a framework defined to successfully execute agile projects in a distributed and out-sourced environment. A very systematic and authoritative approach has been demonstrated by Upadrista Venkatesh (Upadrista) via his new framework called "DH2A" (Design for Hybrid Agile Adoption) on how to make agile successful in a distributed environment. Not limited to a single project, an extension to the DH2A framework called as e-Dh2A (enterprise DH2A Rollout) is part of this reading material which defines a framework to roll-out DH2A across an organization. It provides the enduring benefits of definite cost savings and the most qualitative software for project development. The framework is being introduced into the industry via the authors new book called "Design for Hybrid Agile Adoption - An enterprise agile framework for Distributed Teams" and will be into the market by August 2011. The book is divided into three sections where the author in the first section specifically speaks about the evolution of DH2A and the advantage distributed agile brings, as compared to the collocated agile approaches. The author also speaks about how different methodologies in the industry today fail to provide the enduring benefits of distributed development combined with agile techniques which leads into developing the framework called "Design for Hybrid Agile Adoption". The second section of this book defined the life cycle of " Design for Hybrid Agile Adoption (DH2A) " framework which evolved from the author's vast experience of successfully executing agile projects in a distributed and outsourced environment. This has created a new paradigm in the software development industry regarding the success of distributed agile. The final section of this book defines a Framework to roll-out DH2A across an enterprise called the e-DH2A framework. Introducing the concepts of Program Management Office, e-DH2A marries both the worlds of a PMO setup and DH2A to make DH2A roll-out consistent and successful across the organization. You can contact Upadrista on his email venkatesh@venkateshupadrista.com to receive some complimentary chapters of the book. Value is a driving factor in today's industry. What interests everyone in a concept is the value it derives at the end and its predicted stability in the long run. Extracting value from a concept is not an engineering science but is the thought converted to reality that come out of experience. It becomes the guiding principles towards new disciplines which are the motivations to achieve the real changes. As software development has evolved towards a globally distributed setting, many organizations have shown interest in blending Agile with distributed development but are largely skeptical about the challenges in terms of communication, culture and team collaboration. Distributed development is a fact of life for most organization and in today's environment where everyone is targeted with stringent cost controls, distributed development especially offshoring plays a very crucial role to meet this criterion. Distributed agile as the name indicates is a methodology to execute agile projects in a distributed environment with a common goal of project success in mind. Through today's collocated agile models we have seen judicious success in project execution. However these has moved the industry paradigm to decades back where projects were being executed in collocated approaches defeating the advantages of cost controls. With today's perception by many individuals that distributed agile is not successful, many industry skeptics are rejecting the model. The prime reason is success in distributed agile not coming to light thought the local communities. There seems little guidance to apply the principles for a successful distributed agile implementation. In my own experience, I have seen some of my customers being skeptics regarding the success of distributed agile. This has occurred very frequently and hence Distributed Agile development has been treated as an unsuccessful buzz word in the industry. On the other hand there were many matured organizations I came across where Distributed development has been the core of their business fundamentals. Adapting to the emerging industry practices and partnering with such organizations have given me an edge to demonstrate the success of distributed agile. My personally experience has seen the success of distributed agile and was the inspiration for the "Design for Hybrid Agile Adoption" model. It is a challenge to cope with the trends and methodologies those have been under constant scrutiny to emerge with better models. All recent methodologies are striving to be more effective and efficient for successful delivery of the projects with high client satisfaction and better productivity factors within specified and tolerable limits and distributed agile is one such leaning today. DH2A has defined its life cycle based on several successful experiences of executing agile projects in an distributed environment. Several mature models existing today address the non agile approaches combining the distributed strategies. Others combine agile in collocated strategies. DH2A is the only model which marries the worlds of distributed development, outsourcing and agile together and addresses many challenges existing today in distributed agile. It provides the utmost advantage by combining agile in a distributed and outsourced environment. The DH2A framework defines a four phase approach as illustrated in Figure 1.1 and draws its success from the different patterns, best practices, processes and procedures designed to help distributed teams succeed with agile. This paper does not speak in detail about the complete working of the Dh2A Methodology. Some of the key fundamentals are discussed in summary so that the superior benefit of the methodology can be appreciated. The Appraisal Segment is one of the segments in the DH2A methodology that provides a tool based approach to validate the benefits an organization would reap adopting the Dh2A methodology. Organizations have to decide the DH2A way by analysing the enduring benefits they can reap from the methodology. This phase also assesses the people and project capabilities to adopt Dh2A. Dh2A requires that an organization can adopt Dh2A only if it can meet the DH2A demands. Until now none of the agile methodologies have assessed characteristics of projects and people to decide if following a methodology is viable. This is one of the unique differentiator of the Dh2A methodology. The Estimation Segment of the Dh2A framework mandates any project must define the cost of the project in conjunction with scope and time. Many organizations live with the limitations defined by the current Agile methodologies which demand you execute a project with an open ended scope or time and cost. The DH2A focus on the estimation techniques is one of the differentiator from other methodologies. DH2A defines any project for DH2A implementation will have a fixed cost, time and scope and those are the only projects that qualify for adopting DH2A Methodology. The Estimation Segment defines a methodology called "Dh2A Spry Estimation" which demonstrates an approach to estimation an agile project as a fixed price model. This is another unique feature of the DH2A methodology. DH2A demands a dedicated Video conference set-up at both onsite and offshore developer locations which should be used solely by the project teams. This is the core approach to minimizing the geographical and cultural difference using the DH2A methodology. A DH2A rule, as shown in the Figure 1.2, it will boost the team's productivity and minimize the cultural difference if the video setup is located in the development location and that it's connected at all times between the onsite and offshore locations. In this way the face-to-face contact is maintained even though the teams are distributed in different countries. The remote teams should be able to see each other just as they can see their collocated teams. Remote Counseling has gained a lot of momentum within the DH2A projects as experiments and experiences have demonstrated that the effects of "Cultural Differences" can be greatly reduced with the practice. Remote Counseling has been credited with being a significant building block for bringing people together. One of the toughest things in today's rapid changing and dynamic environment of software development is the effectiveness in which performance of the project can be assessed. A simple example: When you are traveling on a road, how do you estimate the time taken to reach the destination which is considered, in this case, the success measurement? The combination of the number of miles you have to travel by taking the shortest route determines your time estimation to reach your destination. Without someone inventing the theory of time and distance measurement it would not be possible to measure the success. The same is the case of software development projects. Success is determined with the theory of estimation which has evolved from the experiences of many organizations and individuals. Today, that has today become the baseline numbers for estimating your success results. DH2A draws the concepts of assessing success in a similar manner. The core activities are compared and success is measured with the baseline data which is also captured as metrics. DH2A approach for metrics management is always a comparison of the past data with the actual results. We have often seen that organizations have established measurement programs. Few have succeed with them and many of those organizations who have established metrics programs have done so in order to conform to criteria established in the Capability Maturity Model. These are the challenges that have been in existence for decades. With the newer methodologies evolving in the industry today - especially some Agile methodologies - there has been less emphasis on metric management. The accepted thinking is that "Agile methods do not mandate heavyweight process adherence". However none of the methodologies have dictated what are those lightweight, or minimal set of processes, that every Agile project should adhere to so that a project is measured for success. Overcoming these traditional challenges, DH2A defines a lightweight metric management program which creates a platform to measure the success of any DH2A process. As most of the organizations today determine compliance to the Maturity models, the DH2A metric management, in addition to measure the success of a DH2A project, adheres to the basic Maturity models guidelines and keep organizations focused on the existing norms. The modern definition of project management emphasizes the delegation of personal accountability to each and every member of the team right from the project trainees up to the individual and group managers. Traditionally projects of different sizes have different ways and requirements on how the people are assigned and aligned on the roles and responsibilities. 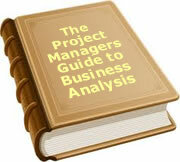 A key factor in a projects success is assigning the right role to the right individuals. Therefore to reap success, DH2A emphases the selection of the right kind of motivated teams who are experiences in DH2A. Everyone needs to understand their roles in a DH2A project. The roles are based on the maturity of individuals in the DH2A Methodology and each is expected to perform their duties in accordance. Unlike other methodologies where Roles are defined and assigned based on discretion of individuals, , every DH2A role is based on the experience level of individuals in the DH2A Methodology. The success of a project is often dependent on the people, processes and capabilities that cut across multiple disciplines. To make this success consistent across other projects of a similar nature, similar processes and capabilities are implemented across the board. However the leap from a small success, to organization wide success has never been an easy step. Several experiences in different lines of business have shown that the big-bang implementation have many times led to failures. Though some exceptions exists, the reasons for these failures are due to the lack of proper and consistent integration among defined disciplines, processes and the capabilities which results in sub-optimization, confusion, and potentially unnecessary expenditure. e-DH2A marries into its framework the alignment of DH2A to an organization Program Management Office such that an enterprise can work within a single framework and ensure that all projects proceed on the basis of their strategic alignment to the objectives of DH2A. Upadrista is a passionate devotee and a seasoned practioner of Agile well known in the US and Europe market for his specialization in Distributed Agile. He speaks at many conferences especially on the success of Distributed Agile and has guided several customers towards successful Agile implementation in a distributed environment. Upadrista is author of several publications including his popular book " Managing Offshore Development Projects - An Agile Way ".